In this post I’ll outline the difference between proactive and reactive problem management – which isn’t as obvious as it sounds. Reactive is the more common form because it’s easier, but in my view organizations should be doing both. The key difference between reactive and proactive problem management is that reactive problem management involves looking at incidents that have happened and how they can be prevented from occurring in the future. Proactive problem management attempts to prevent incidents happening by identifying weaknesses in the IT infrastructure. 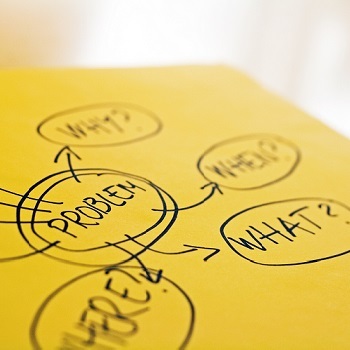 Proactive problem management is inherently more difficult than reactive problem management. Identifying and solving problems before they manifest themselves in the form of incidents requires the availability of excellent analytical skills plus the ability to carry out trend analysis and a range of preventative actions. In addition, you need technologies such as a network monitoring system that can alert you to potential problems such as repeated low memory conditions or lack of disk space – something that many organizations don’t yet have. As a result, proactive problem management has possibly the highest payback on investment of any of the core service desk processes, and will really help set your desk apart. It’s well worth overcoming the challenges so that you can do proactive, as well as reactive, problem management.